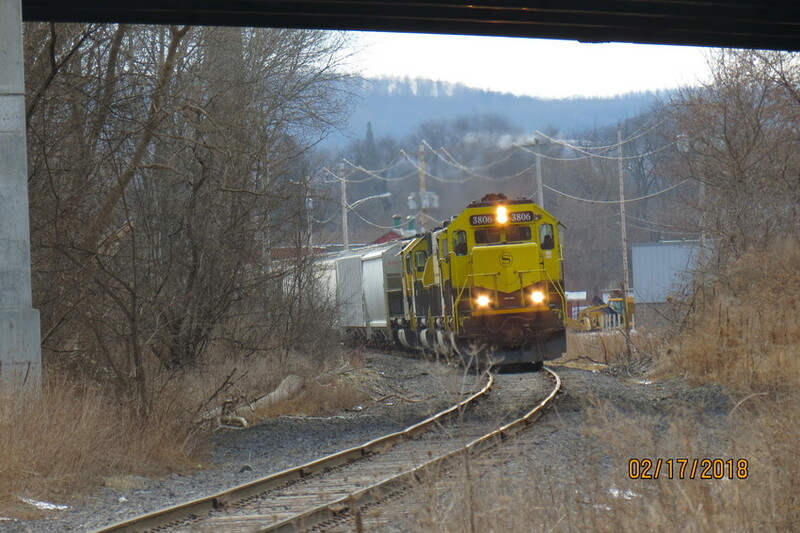 The SU99 with 3806 on the point easing north out of Cortland. Photographed by Scott Crotwell, February 17, 2018. Added to the photo archive by Scott Crotwell, April 2, 2018.